Add apricots in a pan with water, sugar, orange juice, cinnamon stick, star anise and cardamom pods. Cook for approximately 15 minutes and let the mixture cool. Slice 30 slices (about 450g.) of Castello Tickler Mature Cheddar. 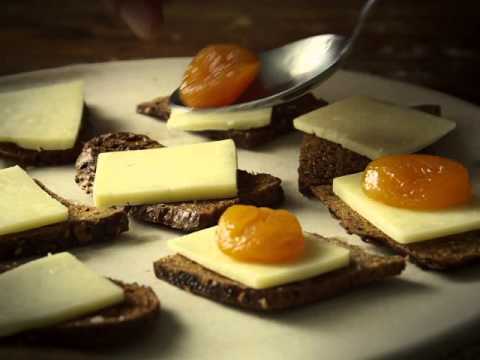 Add cheese and apricots on 30 thin pieces of toast or crackers. Drizzle a little of the brine from the apricots on top and serve.